As part of the immune system, the lymphatic system helps the body activate a specific immune response against viruses and bacteria. It retains fluid homeostasis in all different compartments of the body. It is made by channels called lymphatic vessels. These collect lymph from all over the body and deliver lymph to the regional lymph nodes or thoracic ducts and then back to the cardiovascular system. Lymph is a colorless protein-rich fluid that physiologically collects waste products and pathogens. It is present in tissue and transported through the lymphatic system to regional lymph-nodes. The venous flow carries 90% of arterial blood back to the heart and the remaining 10% becomes lymph fluid in the interstitial. Peripheral lymph nodes drain approximately 4-8 liters of lymph fluid per day. The lymphocytes (infection-fighting cells) that reside in the lymph nodes activate a specific immune response against infection. Lymph nodes are bean-shaped organs of the lymphatic system that are distributed widely throughout the body. They are composed by lymphoid tissue enclosed by a capsule of connective tissue. Lymph nodes are major sites of B cells, T cells, and other immune cells. They serve as filters for the blood and provide specialized tissues where foreign antigens and cancer cells can be trapped and exposed to cells of the immune system for destruction. They are typically found concentrated near junctions of the major lymphatic vessels and most prominently found in the neck, groin, and armpits. Why is the lymphatic system important? The lymphatic system has two important roles: activating the immune response against antigens and transporting lymph fluid. Both functions are important to preserve body homeostasis. 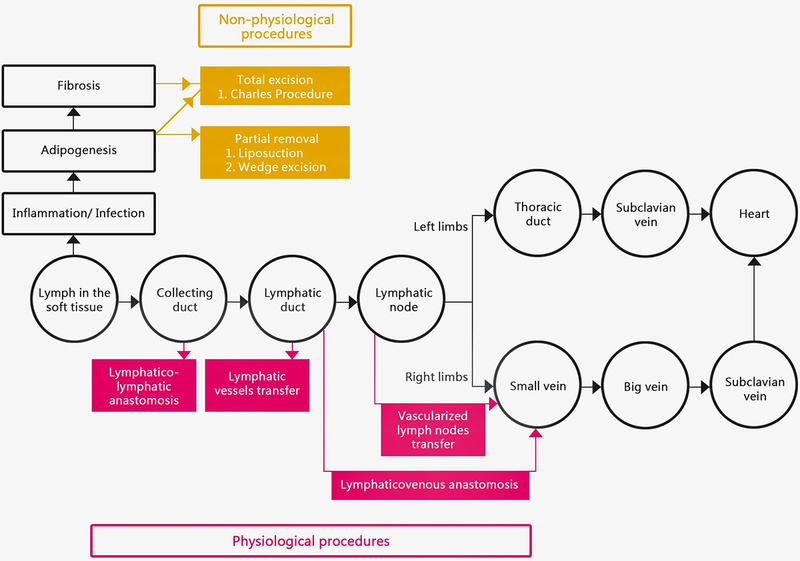 When the lymphatic system is compromised by cancer, infections, surgery, trauma, or congenital issues, the affected part of the body is prone to swelling (lymphedema) and recurrent infection due to the faulty surveillance mechanism. The functions of the lymphatic circulation include prevention and resolution of edema, maintenance of interstitial fluid homeostasis, immune trafficking (the regulated transit of antigen-presenting cells to the lymphoid organs), and lipid absorption from the gastrointestinal tract.